charges. To return by mail, please send prepaid via UPS or insured USPS. You will receive a full refund in the form of a merchandise credit. remembering to keep the return label printed on the front for shipping. 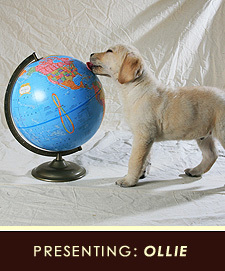 Ollie imagines a world full of puppies....now you can too! 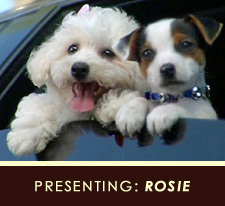 Ride along with Rosie and Squeaky to the next adorable puppy adventure!